With the closure of California Fitness, one might question the viability of the gym business in Singapore. However, the answer lies in moving with the times, and that is how UFIT (a holistic fitness organisation) has developed their business to include gym, bootcamps, sports education, and nutrition. The business of ‘fitness’ has moved on from just losing weight and looking good. Today fitness incorporates strength training, improving mobility, and a better understanding of diet. Due to the internet, consumers these days are more educated on fitness matters, but this knowledge actually encourages them to seek more expert advice through gyms and the personal trainers. 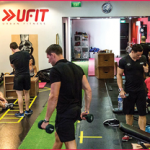 BDRC Asia interviewed one of the founder directors of UFIT, James Forrester, to establish some of their success factors, and how the business has used market research in their brand development and business management. Like many organisations that need retail space, one of the main risks (particularly in Singapore) is the enormous cost of renting facilities in prime locations. This is particularly acute for gyms that require generous square footage. 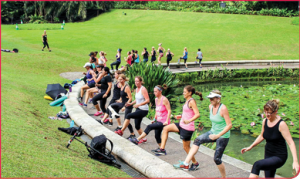 UFIT ‘cheated’ this obstacle at the set-up by adopting no retail space, and instead started with bootcamps in public areas, whereby customers could pay a fairly modest fee for a 1 hour keep fit session with professional trainers. Not unlike the ‘pop up shop’ concept, these sessions helped to test the market (e.g. demand for the service) at minimal risk, but also served to build a customer base to whom a fuller service offering could be sold later (note the similarities to the Willow & Huxley retail operation as reported in Q2 of Asia Research). The second biggest challenge for UFIT was finding good personal trainers. Not unlike other personal services, the risks can be the investment in good staff, who might then leave and take customers with them, e.g. just to train them in their own home. UFIT developed a unique employee value proposition by developing a franchise network. The highest performing personal trainers would have an opportunity to run their own gym, and buy into equity over a two year period. This was a means of enfranchising the star performers, and with it showing a path to those aspiring to be these star performers. Market research became quite important to UFIT when they went through a rebranding exercise. They engaged a professional branding consultant who undertook research among customers and staff to establish the brand values of the organisation, and where it could be moved to. Gyms often use a specialist software that allows customers to book sessions, and by having this customer database, UFIT were able to implement online surveys quite cost effectively. They also conduct regular customer satisfaction surveys, where customers can rate both the services of the gym and the individual personal trainer. UFIT has devised a semi-formal type of customer psychographic whereby certain customer personality types are matched with a particular trainer. For example, ‘A’ type personalities would be matched with ‘A’ type personal trainers, e.g. those with a rugby heritage. ‘B’ type might prefer the more analytical type of trainers, e.g. those who have studied the science of fitness to Masters degree level. However, the more ‘scientific’ research, e.g. demand / supply analysis, is perhaps less integral to their business planning. Even though traffic and footfall is examined in relation to acquiring new premises, James argues that the best reason to open a new gym is whether they have the right person to head the operation. Hence, the business and the individual can create the demand that market research might not otherwise have identified. This latter point is often the way disruptors and highly innovative companies break the rules of demand / supply analysis, but these companies still need the insights and customer feedback to aid their brand development and prioritise their services.